Chloe Bennet admits that she changed her last name in an effort to get more acting roles because "Hollywood is racist." The 25-year old Agents of S.H.I.E.L.D actress, who is half Chinese, took to Instagram to vent her frustrations, but later deleted the post. Earlier this week she spoke out in support of actor Ed Skrein for stepping down from the role of Major Ben Daimio in the Hellboy reboot. In the comic series, Daimio is of Asian descent. Skrein is not. US Magazine reports that Bennet's comments were in response to a comment on her Instagram page after she praised Ed Skrein's decision to step down from the Hellboy remake. Bennet said, "Thank you @edskrein for standing up against hollywoods continuous insensitivity and flippant behavior towards the Asian American community." When somebody commented that she had changed her last name from Wang to Bennet, the young actress decided to tell her side of a very personal story about trying to make it in Hollywood with a last name that made Hollywood "uncomfortable." Though Bennet later deleted the post, you can read it in its entirety below. "Changing my last name doesn't change the fact that my BLOOD is half Chinese, that I lived in China, speak Mandarin or that I was culturally raised both American and Chinese. It means I had to pay my rent, and Hollywood is racist and wouldn't cast me with a last name that made them uncomfortable. I'm doing everything I can, with the platform I have, to make sure no one has to change their name again, just so they can get work. So kindly love, [email protected] off." Bennet highlights that the decision to change her name wasn't for a lack of pride in her Asian heritage, but rather industry prejudice that prompted her to make the difficult decision. It's obviously a subject that the actress doesn't take lightly and she talks about her heritage with pride. She was clearly just stating her personal story. Bennet isn't the first celebrity to have changed their name in the pursuit of fame or for other personal reasons; there is a long history of entertainers adopting anglicized public personas. Sir Ben Kingsley, for example, was born Krishna Pandit Bhanji. Kingsley said, "As soon as I changed my name, I got the jobs." Queen front man, Freddie Mercury was born Farrokh Bulsara in Zanzibar, but later changed his name so that his English friends could say his name and adopted the Mercury for hot rock legend reasons. Charlie Sheen changed his name as did George Michael. The Agent of S.H.I.E.L.D actress has said in past interviews that as soon as she changed her name, the roles started to come in. In fact, her first audition after changing her name got her a role. Bennet told the Dailybeast in 2016, "Oh, the first audition I went on after I changed my name, I got booked. So that's a pretty clear little snippet of how Hollywood works." The "whitewashing" in Hollywood is a major point of contention right now. Netflix's Death Note and the Hollywood adaptation of The Ghost in the Shell have all come under fire lately for hiring Caucasians for Asian roles. Ed Skrein is the latest actor to address the "whitewashing" in Hollywood after he stepped down from taking a role of a character that is from Asian descent. Skrein had this to say. "It is clear that representing this character in a culturally accurate way holds significance for people, and that to neglect this responsibility would continue a worrying tendency to obscure ethnic minority stories and voices in the Arts. I feel it is important to honor and respect that. Therefore I have decided to step down so the role can be cast appropriately." Skrein admitted to not knowing that the character in question was originally from Asian heritage and decided to step down after learning the news. This is not the first time that Hollywood has been accused of racism and it sadly, it probably won't be the last. Marvel's Agents of S.H.I.E.L.D. 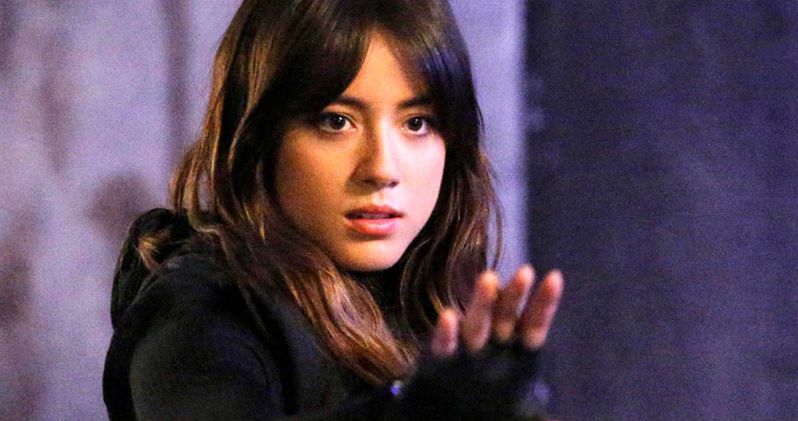 star Chloe Bennet and Ed Skrein are just the latest actors to speak out about the subject.